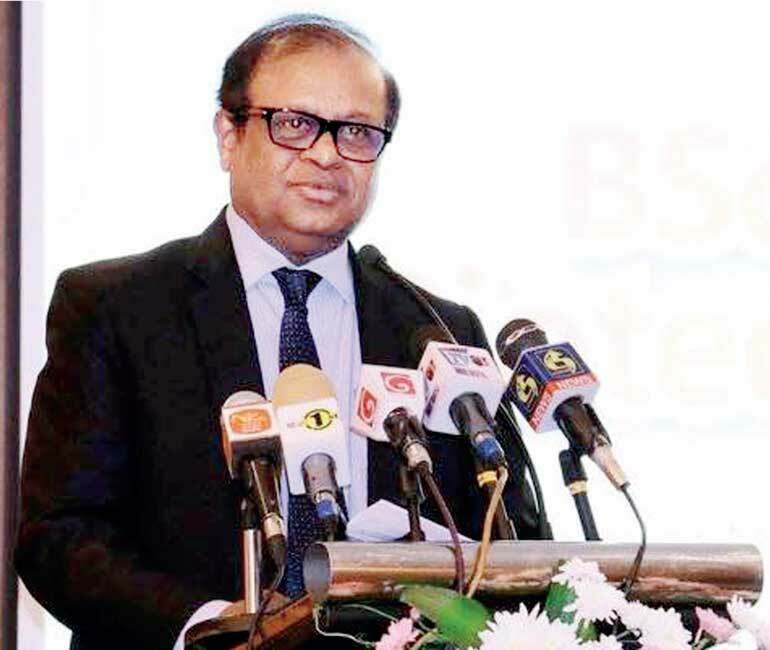 At a recent event at which the UK-based Northumbria University’s BSc Honours Degree in biotechnology was launched in Sri Lanka, Minister of Science, Technology and Research Susil Premajayantha outlined the plan of his Ministry to take Sri Lanka toward emerging sciences, also known as emerging technologies. To sum up problems faced by Sri Lankan students, he brought out an example from his own life. He had studied in the science stream for the Advanced Level Examination with the hope of joining a state sector medical school in Sri Lanka. However, he was short of a few marks to have his dream fulfilled. Instead, he had been offered a place in a science faculty to study a traditional science degree in biosciences. It was not interesting enough for him to pursue an academic career in that field, since everyone who had done such degrees had ended up not as scientists but as teachers. Hence, he had chosen banking which offered a lucrative career and acquired professional qualifications in the field. Then, he had gone for law, management and finally into politics. The point he stressed was that if there were interesting sub branches of science like biotechnology, biomedical science or nanotechnology at that time, his career development would have been different. The country should put a stop to that sad destiny today by giving students the option of learning, and not studying he stressed, these emerging sciences at schools, universities and postgraduate institutions. What Minister Premajayantha had emphasised was the need for Sri Lanka to plan for the future. Unfortunately, Sri Lanka’s track record in that area has been far from desired. But countries that would plan their educational goals in terms of future developments in sciences will prosper in wealth and be masters of the world. One such country in the region has been Singapore. At the dawn of the new millennium, Singapore issued instructions to all universities and higher learning institutions that they should concentrate in four fields of discipline in the new millennium. These fields were information and communication technology, nanotechnology, genetic science and engineering and entertainment. This was because, according to Singapore’s assessment, the future would belong to nations that would master in these fields. At that time, it was only the Western countries like USA, UK and Germany that had made significant strides in these fields. Based on their achievements, certainly, they would be the future masters of the world. Singapore wanted to jump the bandwagon of these countries and be an ally of the future masters of the world. Thus, as a strategy, it encouraged its universities to get linked up with the best foreign universities, allocated handsome research grants and overhauled the general education to produce future scientists through the school system. The result has been overwhelming. All international tests relating to the performance of students at schools have lifted Singapore to the highest position in the world. For instance, the Programme for International Student Assessment, known as PISA test, conducted by the Organisation for Economic Cooperation and Development or OECD in every three year period has ranked Singapore at the top place in the world in 2015, the latest year for which the test results are available (available at: https://www.oecd.org/pisa/pisa-2015-results-in-focus.pdf). This test is conducted by OECD to assess the performance of the 15 year old students at schools in 72 selected countries on science, math and reading. Singapore has improved its position over the average of OECD countries since 2006 at a stable level. Sri Lanka is not tested under PISA and therefore does not know the standard of its students. To overcome this deficiency, Minister Premajayantha is planning to add Sri Lanka too to the list of countries being tested. This is a laudable initiative. That is because it would enable Sri Lanka to know where it stands today. Such a comparative knowledge is essential for it to make appropriate plans to improve itself. Since the next testing will be in 2018, Sri Lanka has to wait one more year to know of its position. Since Singapore concentrated on four key emerging technologies in 1999, the list of such technologies has changed and expanded year after year. The Davos based World Economic Forum or WEF has been preparing updating this list every year in collaboration with Scientific American, a journal dedicated to disseminate scientific breakthroughs worldwide. The list is based on the ranking done by WEF’s members as important technological breakthroughs affecting human life in the future. Since it is a changing world, the challenge for a country like Sri Lanka with a very low scientific base is to catch up with the rapid change in the goal post. Hence, it will be an achievement for Sri Lanka if it could join at least the tail end of the emerging technological changes. The list pertaining to 2016 is as follows. 1.Nanosensors and the Internet of Nanothings: At present, the uploading and downloading internet speed is constrained by the fourth generation or 4G technology with a maximum speed of 100 megabits per second. The world is now moving toward the fifth generation technology or 5G that would increase the speed to an unimaginable level of about 5 gigabits per second. 5G technology will bring another breakthrough revolution in technology now known as Internet of Things or IoT, a term coined by Kevin Ashton, a British born technology pioneer. IoT will enable machines to talk to machines and operate them from a distance, called tele-operation. For instance, in the future, a person going to office can instruct his car to go back to home and remain in the garage until he calls it to come in the evening to pick him up from office. This requires using sensors of very small size or nanosensors which can, for instance, travel through the veins of a human being and repair a damaged artery. It gives rise to another breakthrough technology called Internet of Nanothings or IoN, small nano-sized machines operated through the internet. This is a leading technology that is coming up now according to WEF. 2.Next generation batteries: Batteries can store electricity for later use and they come in handy when it comes to designing, for example, fully electricity-driven vehicles. The low storage capacity in present day batteries is one of the problems faced by engineers in promoting the use of renewable energy. Another breakthrough revolution will take place when new batteries are designed using sodium, aluminium and zinc that can function as mini power grids. 3.The blockchain: The blockchain was designed when the digital currency Bitcoin was introduced in order to record the transactions as a continuous large ledger sheet. It can be seen by everyone and operated by everyone at the same time. This technology has now enabled governments and markets to improve their service provision to citizens or customers. 4.2D materials: These are single layer materials consisting of a single layer of atoms. The best example is graphene, derived from graphite. Many such 2D materials have now been discovered and they are being used for harvesting solar energy, making semiconductors and electrodes and purifying water. 5.Autonomous vehicles: The world is now moving toward driverless vehicles which have drawn on the emerging technologies like Internet of Things, Nanosensors, Internet of Nanothings and long-lasting batteries that are described above. It is just a matter of time when all nations will legalise their use. Once universally introduced, they will certainly improve the living conditions of people, especially the old who could move about freely without depending on living drivers. 6.Organs on chips: These are miniature models of human organs that are about the size of memory sticks. They will help researchers to understand the biological mechanisms of organs in ways that had not been discovered earlier and help them decide on individual based treatment procedures. 7.Perovskite solar cells: The photovoltaic cells that are used for harvesting solar energy have traditionally used silicon cells which are expensive to make. Instead, the use of perovskite structures, named after the Russian Mineralogist L A Perovski, have the advantage of being able to make easily, use anywhere and store electricity more efficiently. Hence, they have today revolutionised the use of renewable energies in the world and represent the future of solar technology. 8.Open Artificial Intelligence or AI Ecosystem: Human brain is a wonderful creation but it has its own limitations such as inability to concentrate and focus due to personal, social and cultural leanings. Hence, artificial intelligence has been pursued by scientists with dedication. Presently, there is no machine which can perform with the same efficiency as human brain. But the invention of such machines will be a major technology breakthrough in the future. Those machines, called digital assistants, will perform many tasks which humans are presently doing. The banking sector would be the biggest beneficiary. 9.Optogenetics: Arising from genetic research, it is a method by which genetic engineering and lights are used to control behaviour of cells. This is a breakthrough technology that enables researchers to map the brain and other organs of living beings. This will pave the path for developing individual specific medical treatment of diseases in people taking into account their personal differences. 10.Systems metabolic engineering: Chemical inputs are used in industry and in treating patients. However, now attention has been paid to produce chemicals by using biological ingredients. In this process, microbes come in handy because they are environmental friendly and cost effective. They could be brewed in large bioreactors that contain living microorganisms. It comes under systems metabolic engineering, a discipline by which biochemistry of microbes are changed in a small way to produce useful chemicals. It will feed industry, specifically the pharmaceutical industry. This technology is on its way now to compete with synthetic chemicals. Sri Lanka is now at a crossroads. It aspires to become a developed nation within a single generation. However, to attain that goal, it has to maintain a minimum growth rate of 7% over the next 30 year period. The secret to attain such a high growth rate is the use of complex technology in production processes instead of simple technology it presently uses. This was highlighted by this writer in a previous article in this series (available at: http://www.ft.lk/article/481485/Part-5--Social-Market-Economy-%E2%80%93-Go-for-complex-production-system--facilitate-entrepreneurship). This article argued that Sri Lanka should increase its research and development expenditure and connect such research findings to commercial production by entrepreneurs. This research outfit, set up in 2008, is a unique public private partnership whereby Sri Lanka’s mega companies have joined hand with the government to use nanotechnology for production, attain higher value added in exports and lay foundation for creating a critical pool of scientists in the country. SLINTEC has invested a massive amount of money, about Rs 1 billion, to equip itself with state of the arts modern precision equipment that could measure at nano levels both two dimensional and three dimensional materials. It has synthesised an efficient method of extracting graphene from Sri Lanka’s high quality graphite. The role nanotechnology and SLINTEC in promoting that emerging technology was discussed by this writer in a previous article in this series (available at: http://www.ft.lk/article/348176/Sri-Lanka-can--leap-frog--into-the-future-through-Nanotechnology). The article argued that while SLINTEC should come up with inventions, they should be commercialised through what Austrian-American economist Joseph Schumpeter said in early part of the 20th century, innovation. Minister Premajayantha, taking pride in SLINTEC, said that it is a true public private partnership with both Chairman and CEO coming from the private sector. Its CEO, Harin de Silva Wijeyratne, says that its objective has been to increase the number of private companies to at least to 15 by 2018, up from present 6. The reason is that its built-in investment in both equipment and researchers is, at present, underutilised. This is an ambitious target. Unless SLINTEC goes global, attracting companies in the first instance from the region, it would not be possible for it to rope in 9 more companies only from within Sri Lanka. However, it has another project to effectively put its inbuilt infrastructure to productive use. That is to set up a postgraduate institution called SLINTEC Academy and offer Master’s and doctorate degrees in nanotechnology and related fields using its technical infrastructure and research capability. Its Vice Chancellor designate Veranja Karunaratne, a professor at the University of Peradeniya says that it would produce a critical pool of researchers in Sri Lanka for engagement in universities and other research institutions through this academy. Such a pool is a must if Sri Lanka is to become a high-tech nation. SLINTEC has been gifted by China a pilot Agroponics and Hydroponics green house. It is presently underutilised but it provides a good opportunity for any agriculture based private enterprise to produce value added agricultural products to cater to the local tourism industry and for exports. In addition, there will be a special biotechnology laboratory in the National Science Park to be established in the Techno City. To make it a success, three leading universities, namely, the Universities of Colombo, Moratuwa and Sri Jayewardenepura, will establish their research outfits there supported by leading techno companies in Sri Lanka. However, an important requirement, as this writer had argued in a subsequent article (available at: http://www.ft.lk/article/569655/Techno-City-is-the-first-step-in-the-right-direction-but-there-is-much-more-to-be-done-to-attain-the-final-goal) has been that these universities should conduct research which the market demands and which would take Sri Lanka to the future. This is a must and the Minister should ensure that it would happen. So, Sri Lanka is now planning to move to a new era with a critical pool of scientists well versed in emerging sciences. It is difficult but not impossible. Its results too cannot be harnessed overnight and will take a long time. Even countries like Singapore and South Korea had taken more than 30 years to convert the respective nations to high tech nations. Thus, Sri Lanka cannot create miracles overnight. But, Sri Lanka should pursue this goal with dedication and commitment until the intended goal is attained.